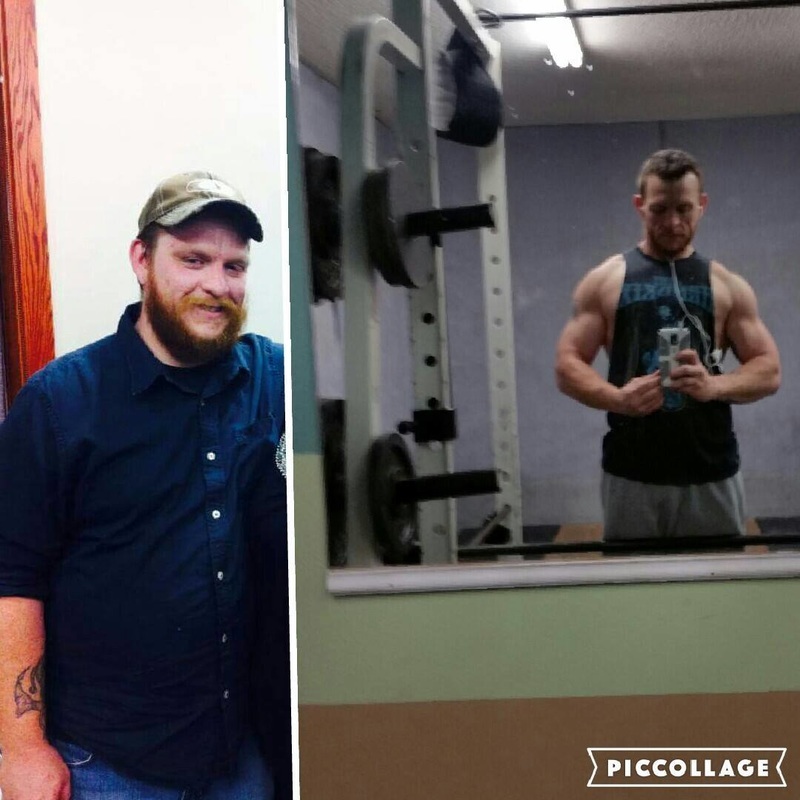 My story isn't necessarily a weight loss story, more of a complete body overhaul. I started my journey on January 1st 2015, I was a New Year’s resolutioner. A number of factors were involved in motivating me to join EverBody’s. I was out of shape, over weight and just generally unhealthy. I had went to the doctor for a physical and was told I was borderline diabetic. I was in a constant struggle with depression and anxiety and I was starting to develop gout in my left foot. Then I received my new driver’s license and couldn't get over how round and chubby my face was. I made the decision to change all of that and joined EverBody’s. I wanted to become the healthiest both physically and mentally, and strongest version of myself I could possibly be. Not only for myself but for those I care about and who care about me. In the 16 months I've been with the gym I'm at a healthy weight, I've lost 55 pounds in that time, no longer threatened by diabetes, the gout in my foot has disappeared, I no longer struggle with depression or anxiety and my face isn't round or chubby anymore. And on top of all of that I'm 10 times stronger than I use to be. I've put a lot of hard work and dedication into transforming my body and I hope it inspires and motivates others to do the same if you're not happy with yours. Because you have the power and ability to transform into whatever will make you happy.